The world of work is an increasingly busy place and we’re always trying to find ways to get the most out of every working day. Employers frequently brainstorm ways to help staff achieve their best and try out many techniques to help their team work more efficiently. One of the simplest and most effective solutions is to supply your employees with plenty of fresh water throughout the day. Documented cases of dehydration only relate to severe instances, resulting in medical attention and financial compensation. However, even mild dehydration can affect how productive and efficient your employees are throughout the working day. Just one per cent dehydration decreases productivity by twelve per cent. Three to four per cent dehydration can lead to a fifty per cent reduction in an employee’s performance. All of this impacts on your business and how well your employees can do their job. Just small changes such as installing a water cooler and insisting on regular refreshment breaks can boost staff wellbeing and their work performance. 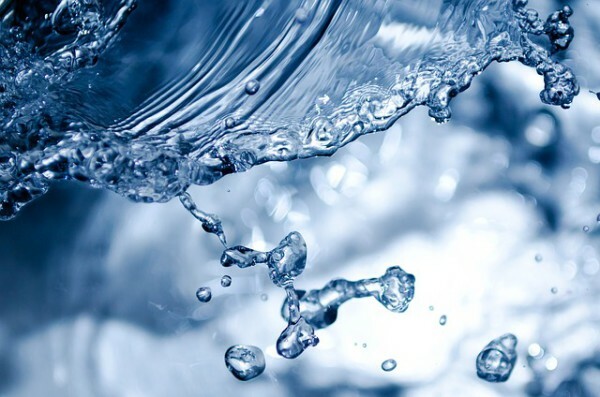 The Natural Hydration Council have conducted studies, which show that without drinking enough, we begin to struggle to concentrate, we can feel sluggish and much less alert and our reaction times are a lot slower. This can have a very serious impact on health and safety, regardless of the work your employees do. By drinking plenty of water, employees not only work more efficiently but productivity is not compromised by recurring health and safety issues or work related accidents. Your brain is eighty per cent water and needs plenty of fluids to keep functioning at its best. This means that dehydration also has a negative impact on your brain’s ability to think and be creative. Whether your employees are designing new products, teaching the arts or trying to find an innovative solution to a new problem, keeping them hydrated will boost their creativity and their ability to excel at their work. How many of us have experienced a 3pm crash at our desks, when we feel tired and demotivated? Dehydration could be the cause. Fatigue and tiredness are common symptoms and so by drinking plenty of fluids throughout the day, these mid-day crashes can be much reduced. People who regularly don’t drink enough fluids tend to call in sick more often, which means that their work, along with the business they work for, will suffer. Dehydration can cause headaches, dizziness and light-headedness. If it becomes an ongoing problem, it can cause a loss of strength and stamina and even contribute to developing kidney stones. The NHS recommends that in many cases, all these symptoms (and resulting time off work) can be reversed by simply drinking more fluids. Dehydration can have a very negative impact on our stress levels. Studies into athletes’ performances have shown that even being dehydrated by half a litre can result in increased cortisol levels. Cortisol is one of our stress hormones. By drinking lots of water, we can reduce these harmful levels and remain calmer and less stressed. Does this increase productivity? Studies strongly suggest it does. Forbes magazine recently highlighted new findings which demonstrated a direct link between higher stress levels and reduced productivity and enthusiasm in the workplace. Just as dehydration can affect our stress levels, it can also affect our mood and resulting behaviour. People who are regularly dehydrated tend to feel grumpier and more irritable, which not only affects their enthusiasm and ability to do well at work but also has an unsettling effect on their colleagues. Encouraging staff to drink lots of fluids throughout the day will help to reduce feelings of irritability and promote a happier, calm and therefore more productive team. Mike Baily Griffths is the National Accounts Manager for UK’s leading water cooler supplier – Cooleraid.